Comment: The elbow on the downspout has come off. It also looks as though the gutter is clogged. This is on the lower roof in the north east corner of the house. Buffalo Gutter Cleaning & Repair Services are rated 4.69 out of 5 based on 293 reviews of 10 pros. 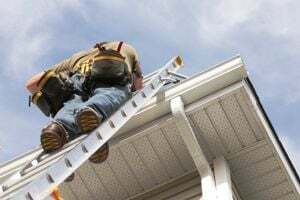 Not Looking for Gutters Contractors in Buffalo, NY?